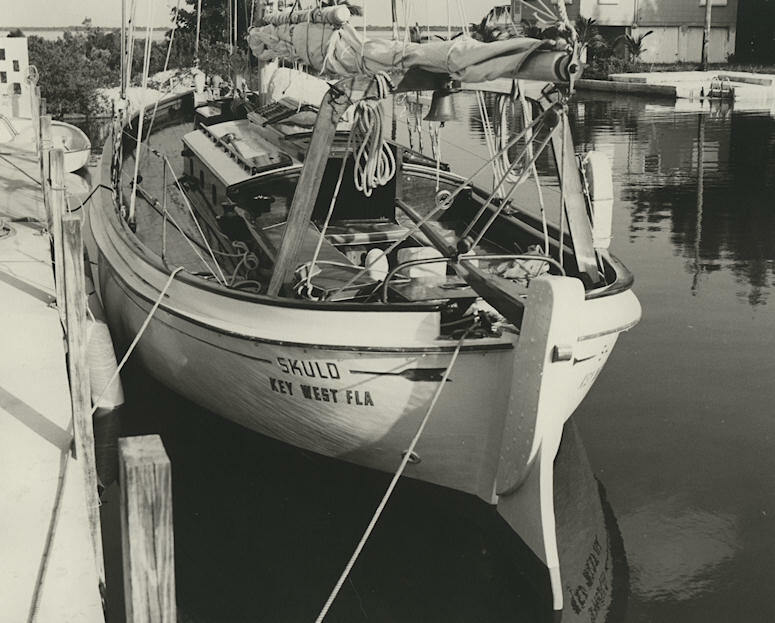 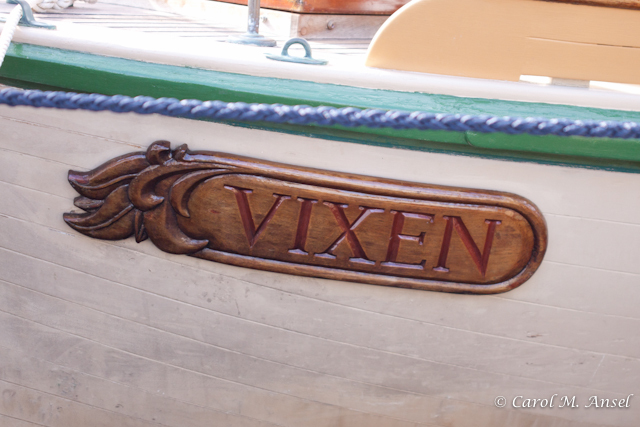 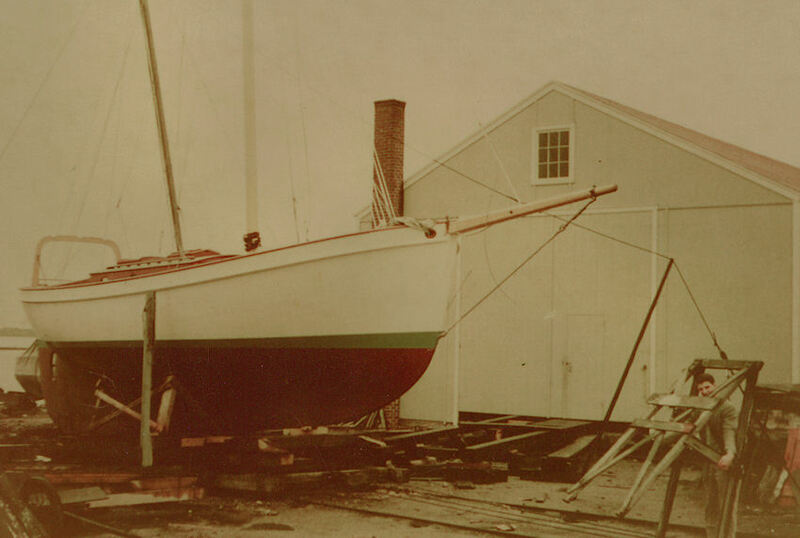 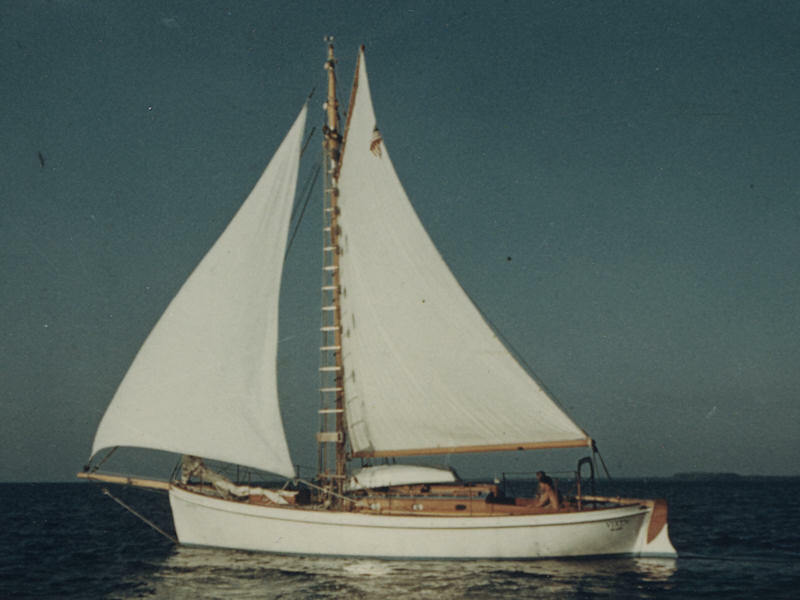 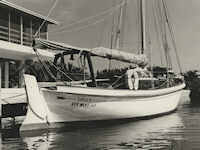 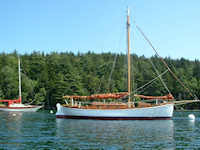 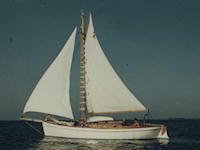 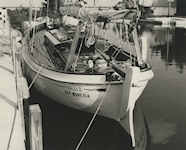 The original Vixen at her builder Joel Johnson's yard, Black Rock, Connecticut in 1952. 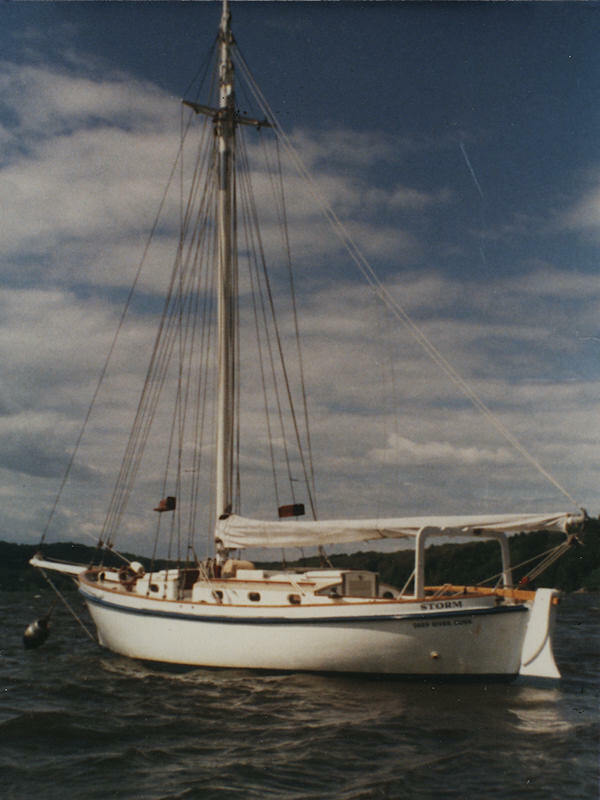 Stark, specifically for a circum­navigation. 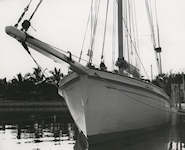 Vixen somewhere near the Miami River in July, 1972. 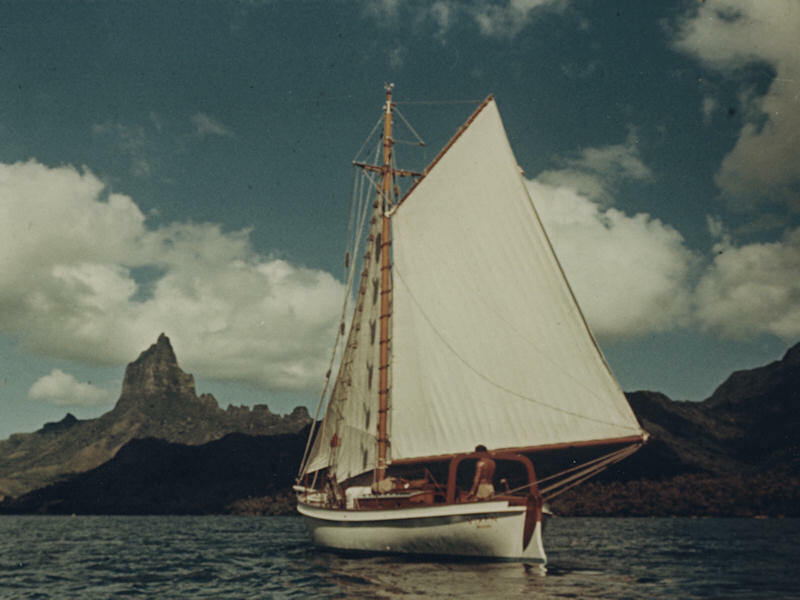 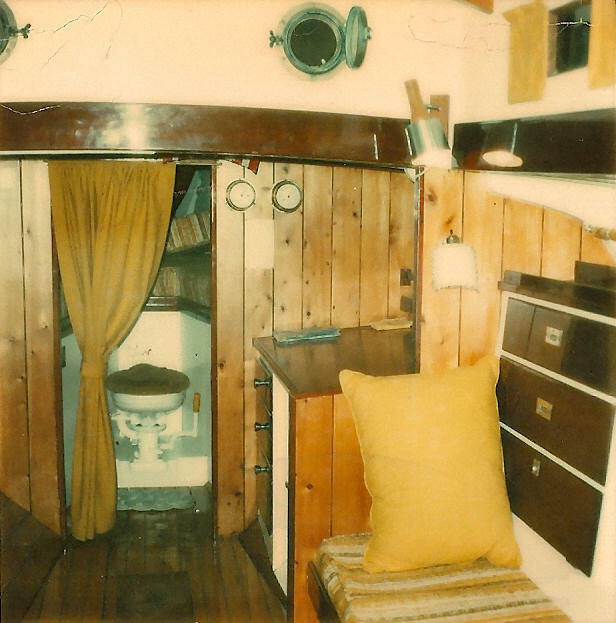 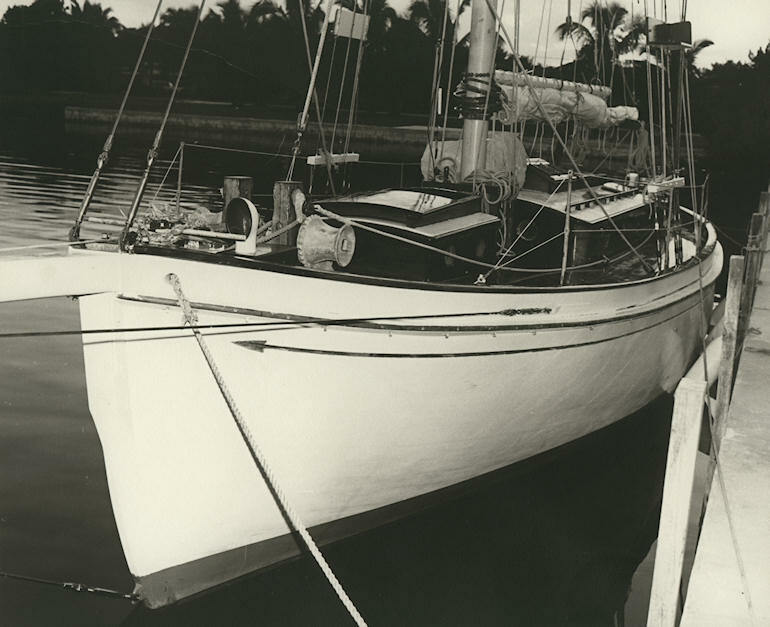 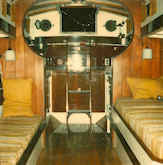 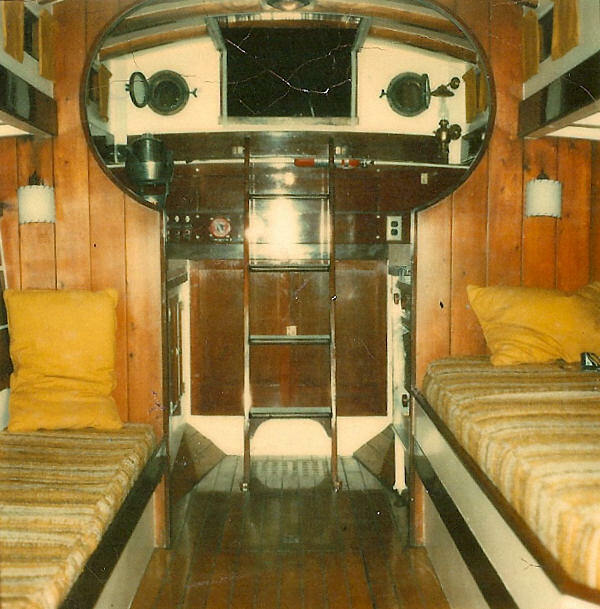 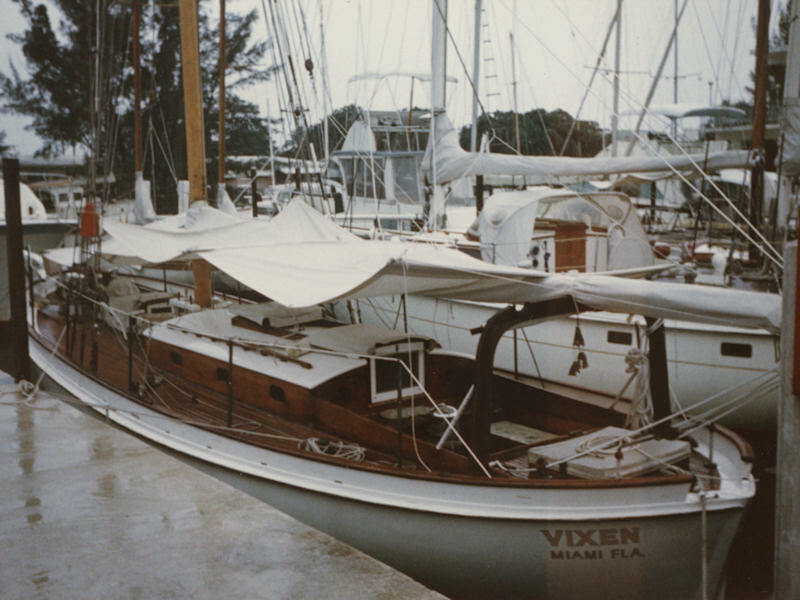 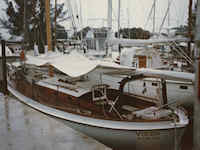 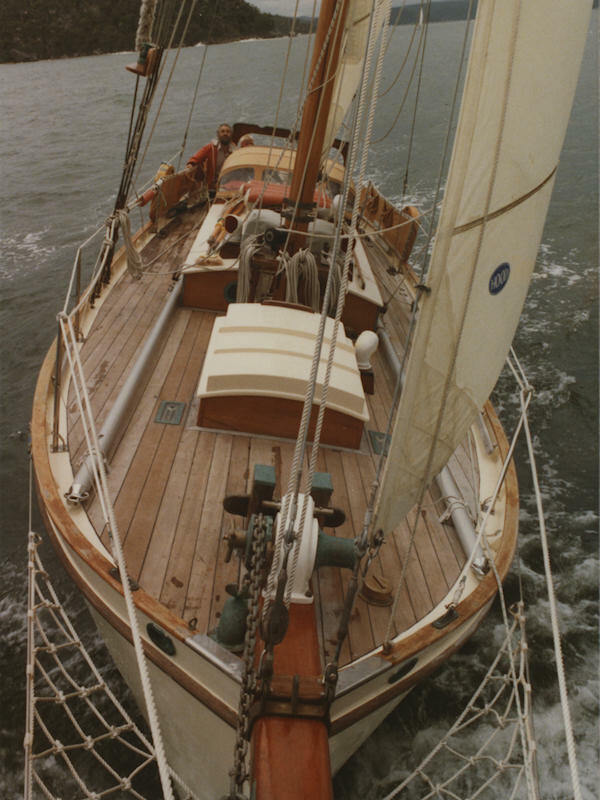 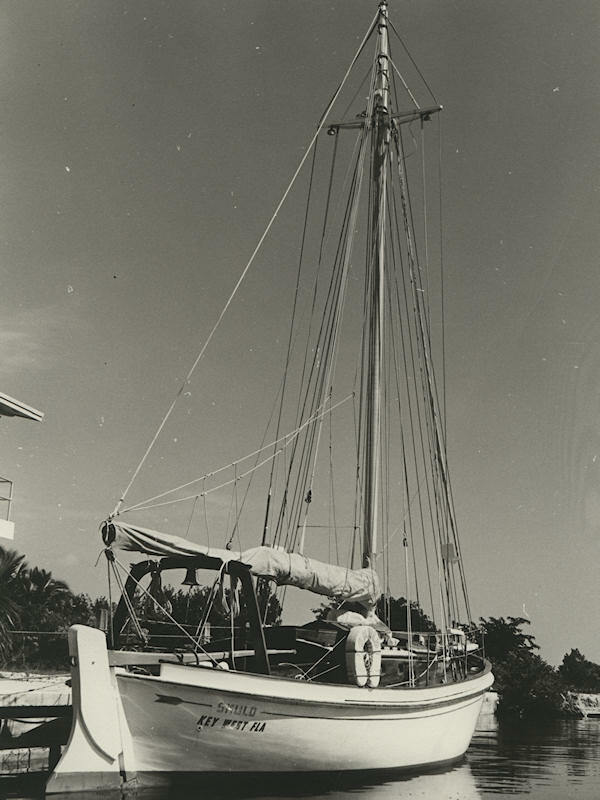 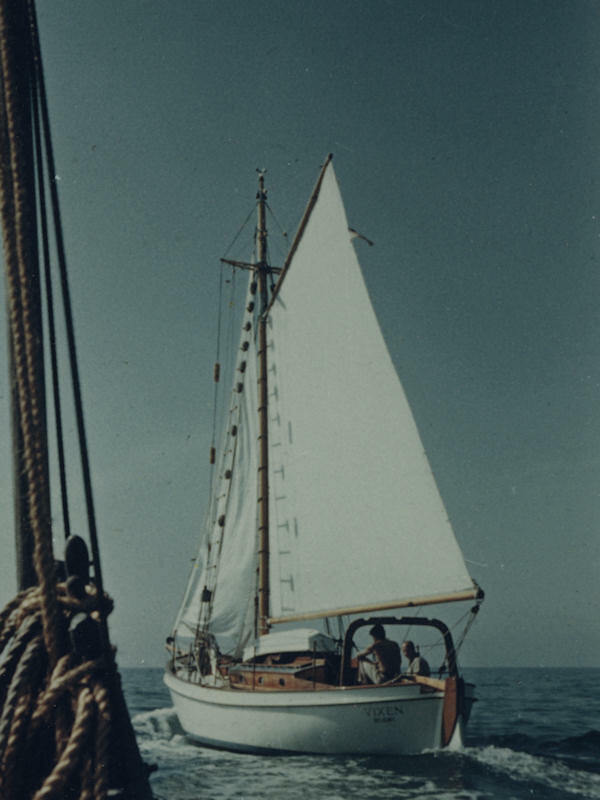 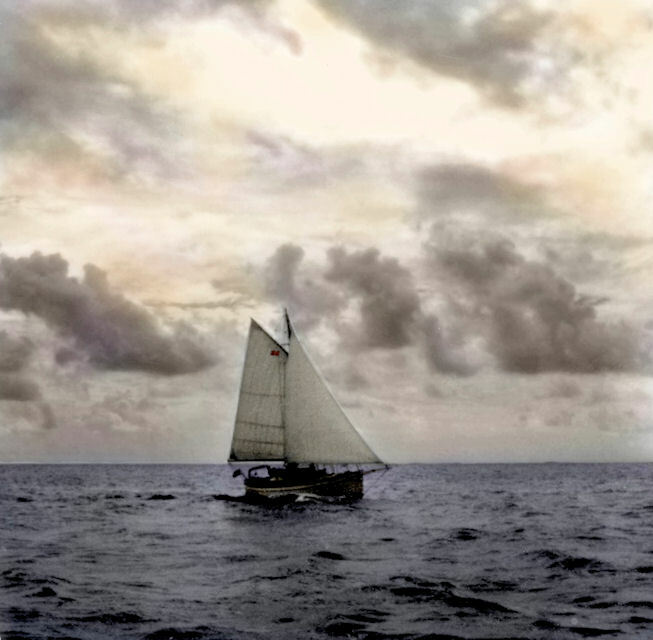 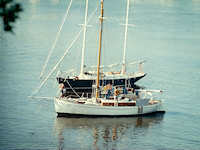 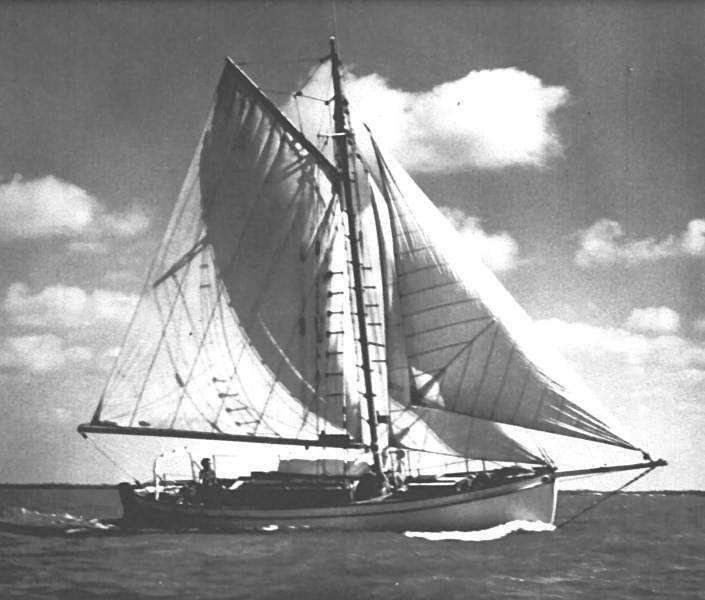 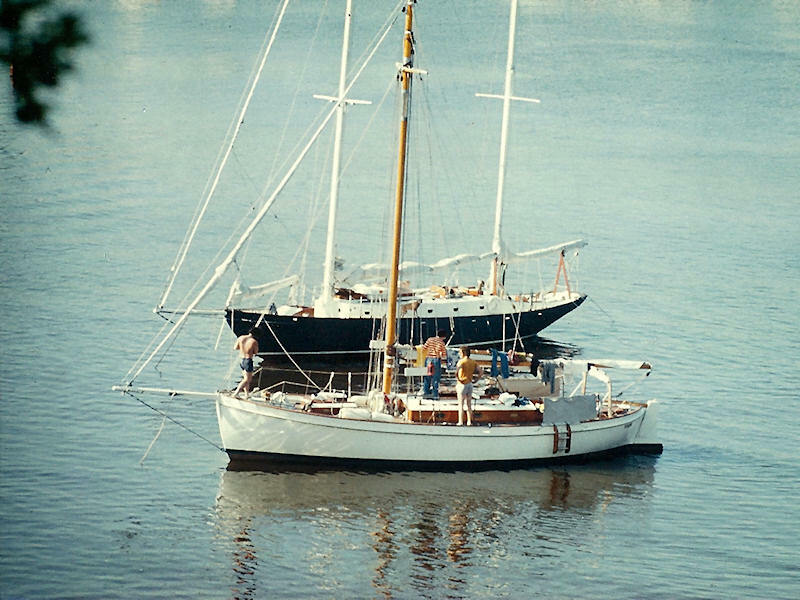 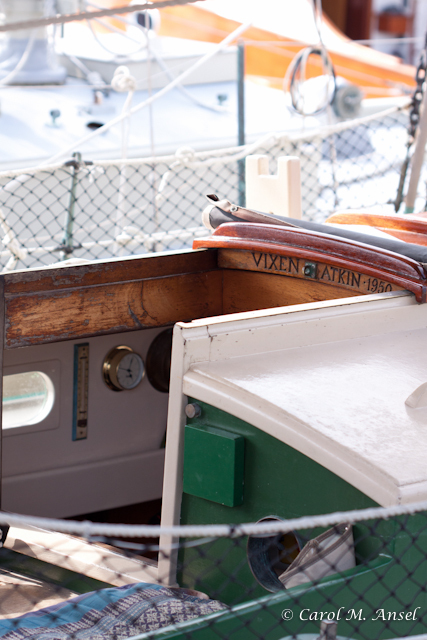 Vixen in the Gulf Stream on her way to the Bahamas in 1976 when owned by Jim and Sue Nies. 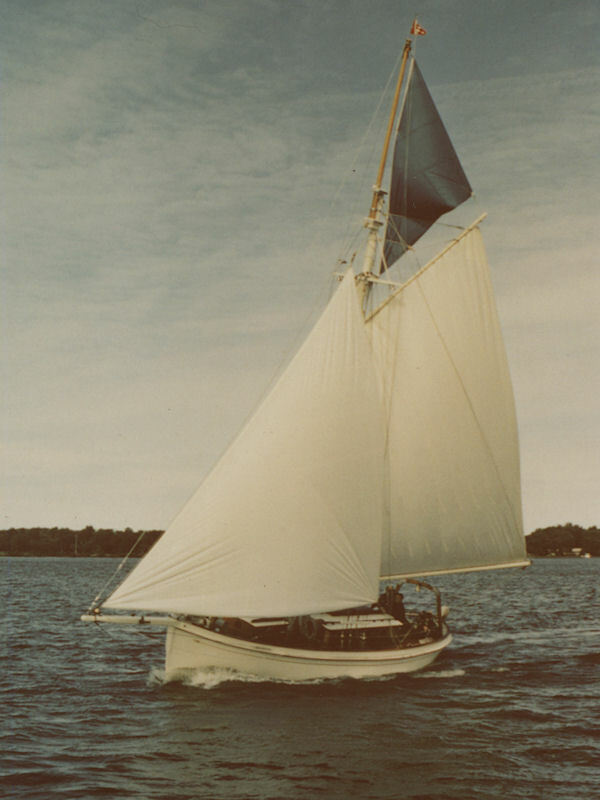 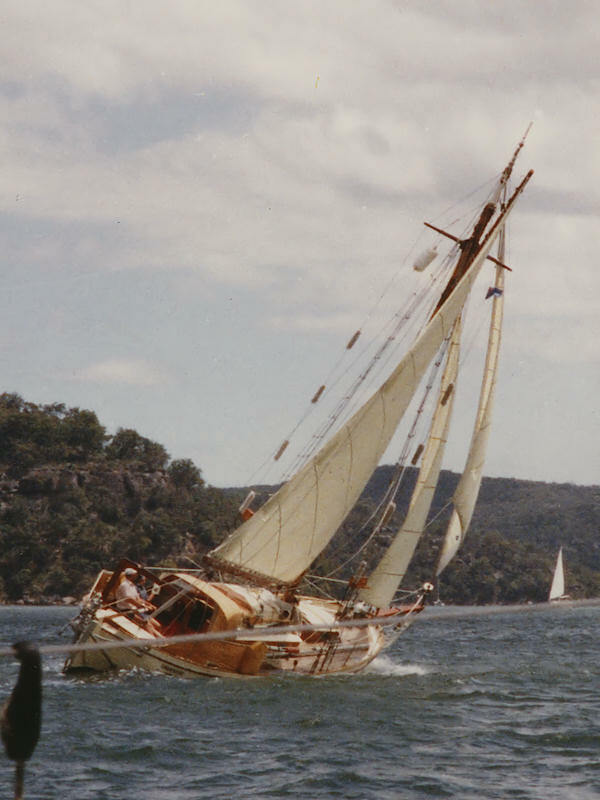 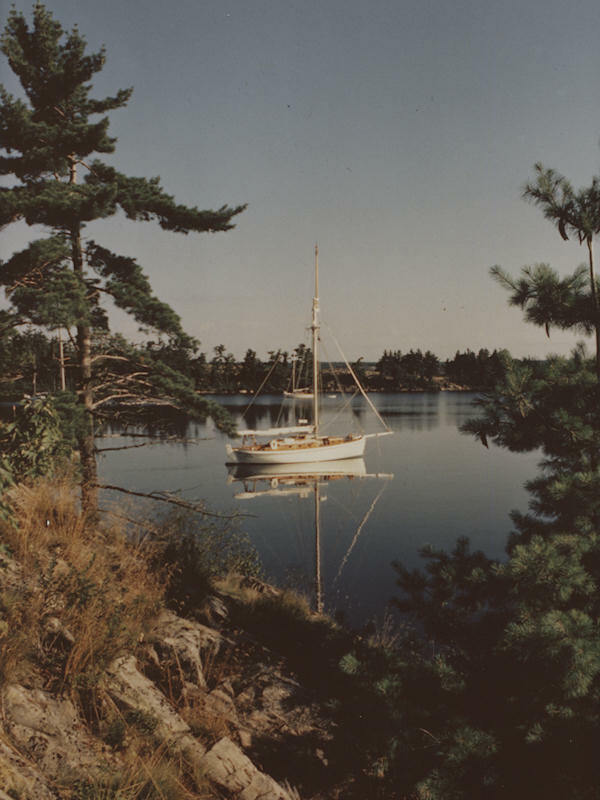 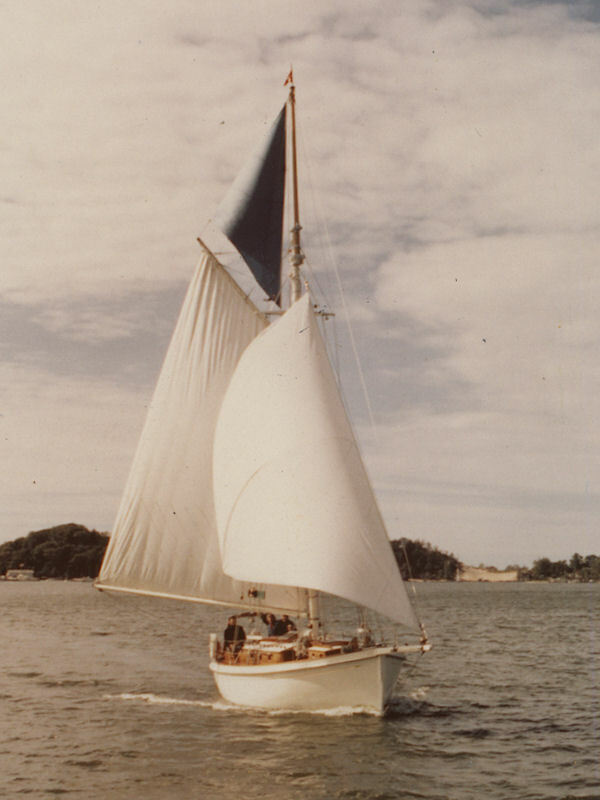 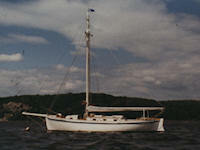 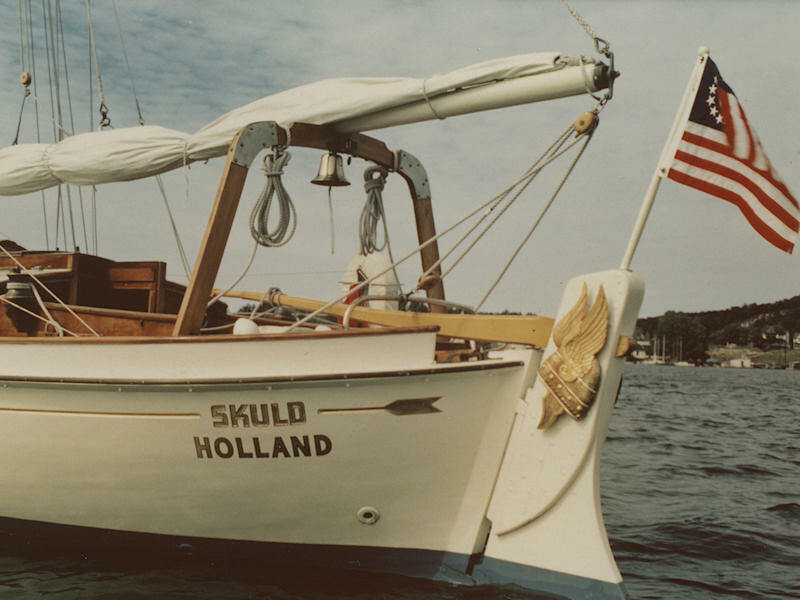 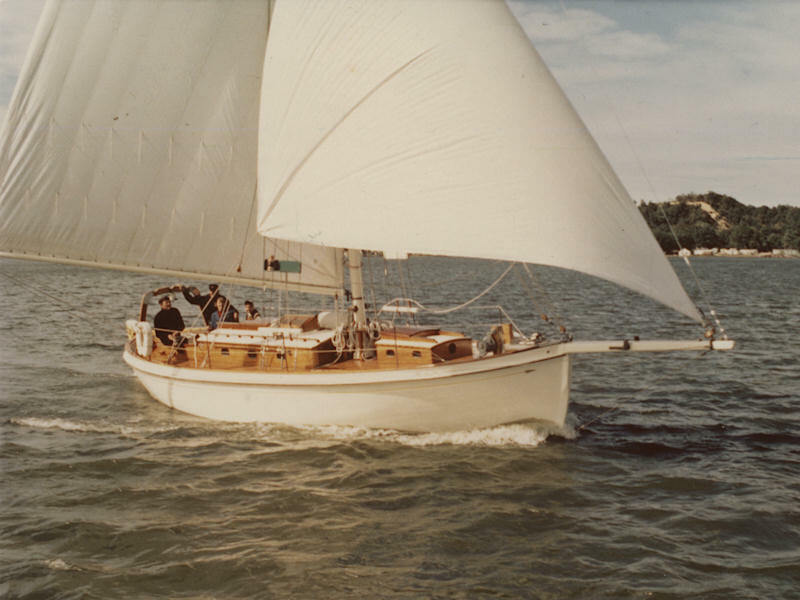 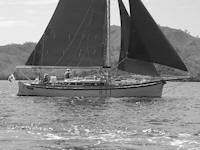 Vixen on Lake Charlevoix, Mich­igan about 1976. 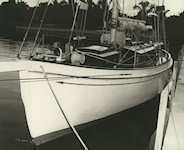 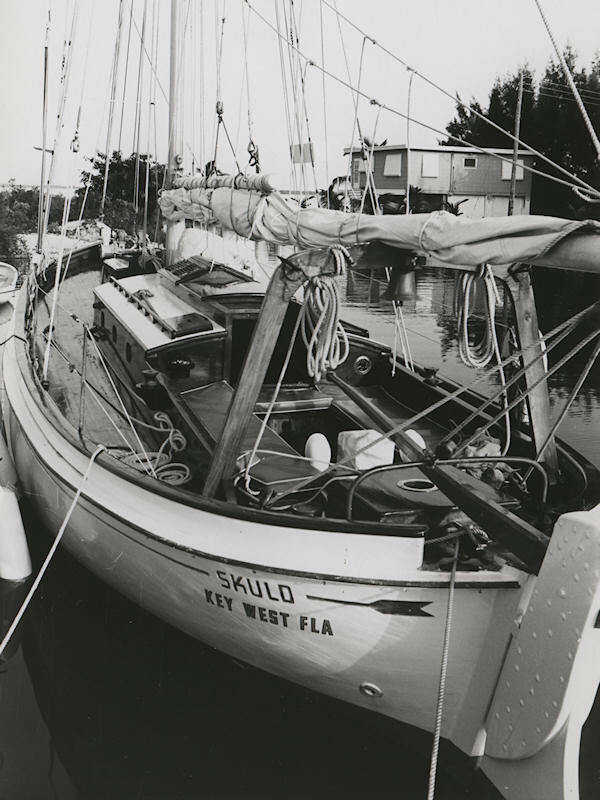 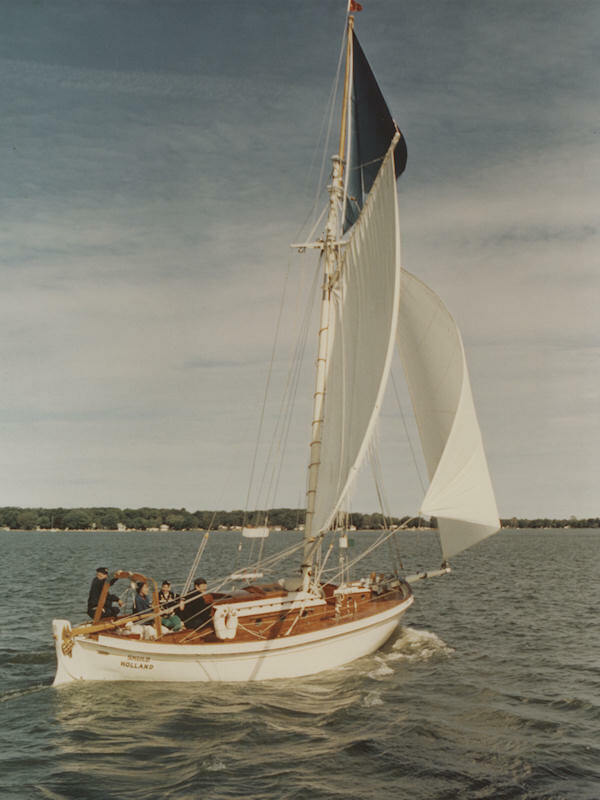 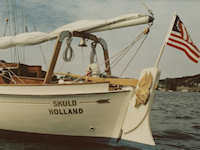 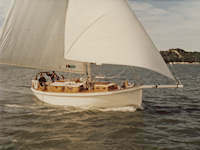 Vixen at Saugatuck, Michigan about 1976. 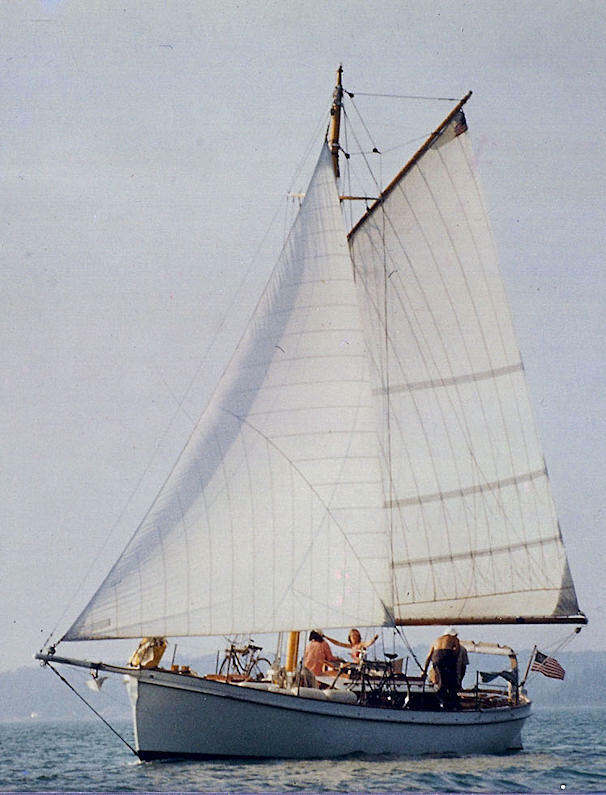 Ariel was launched about 2004. 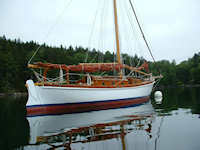 This is David's boat, named Ariel. 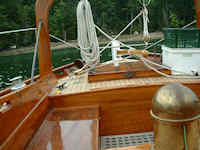 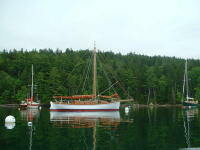 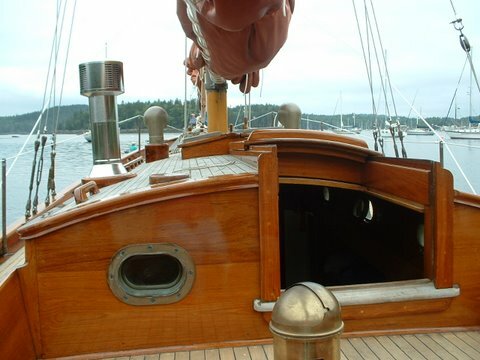 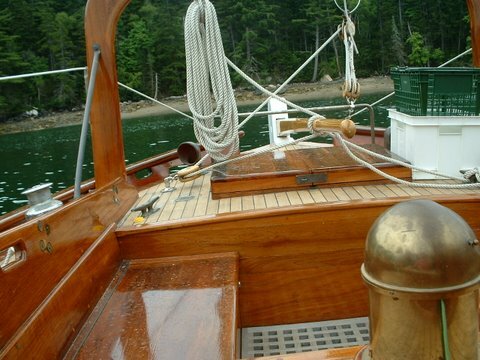 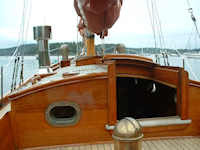 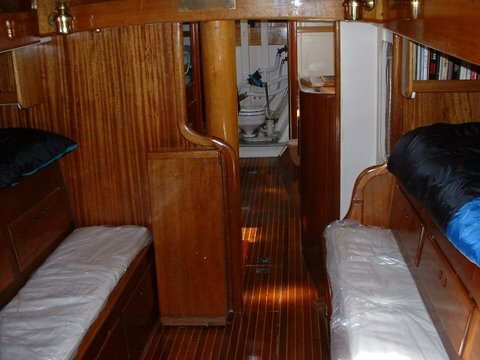 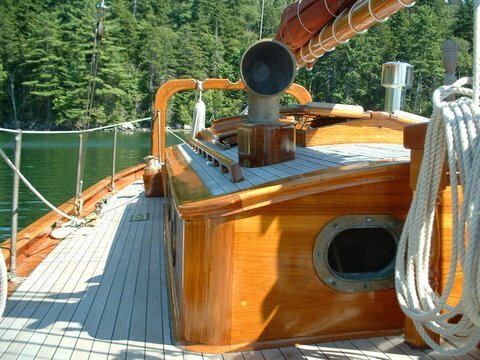 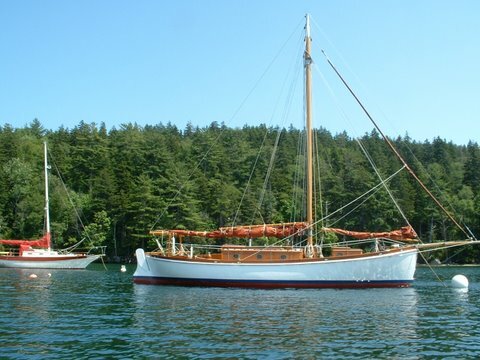 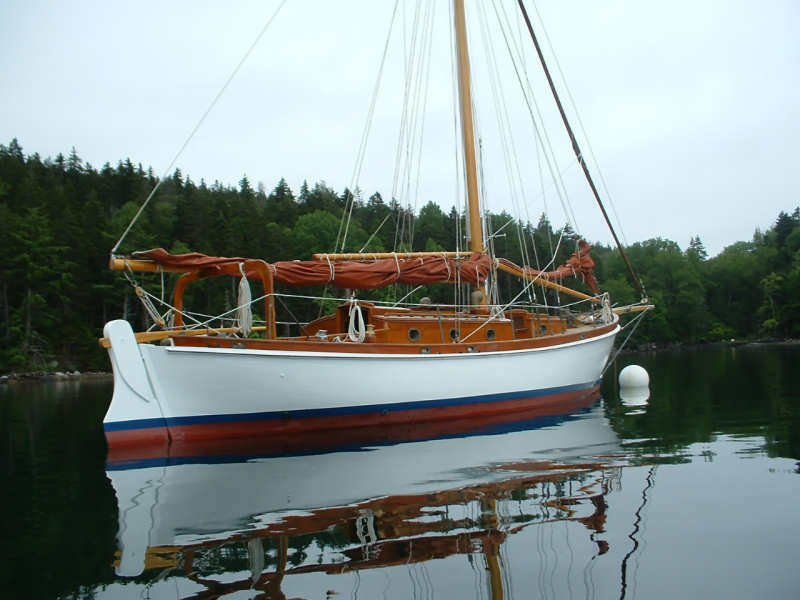 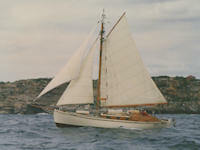 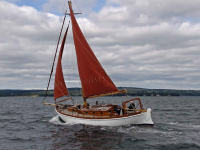 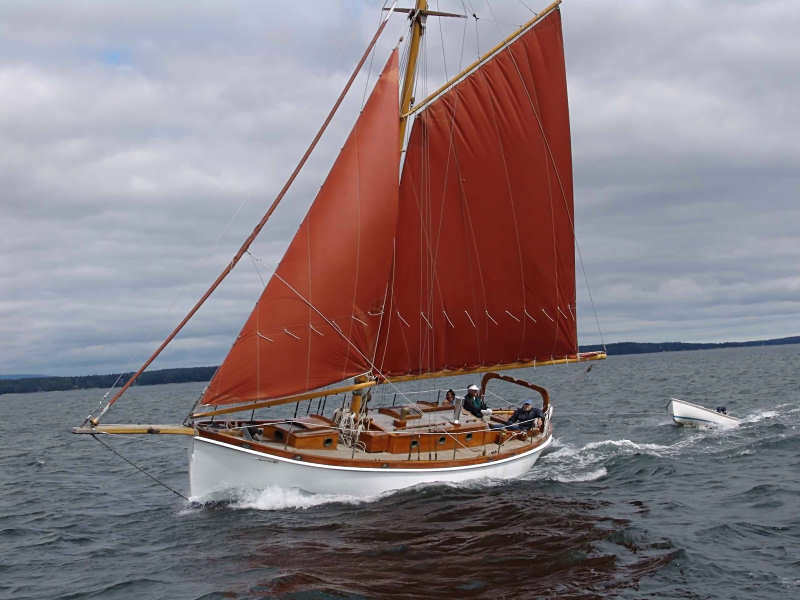 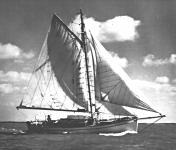 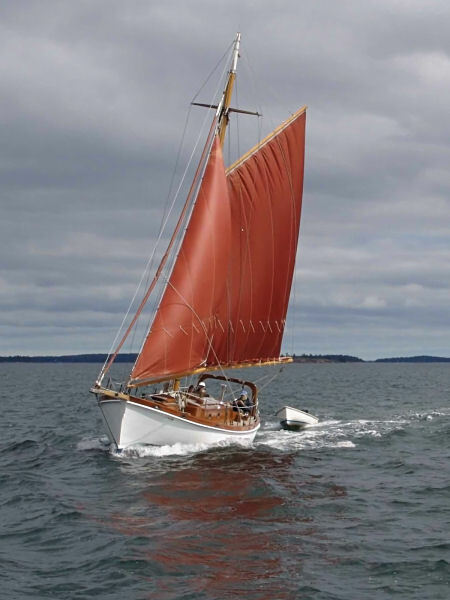 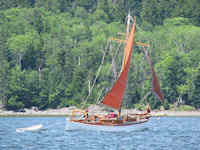 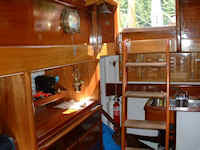 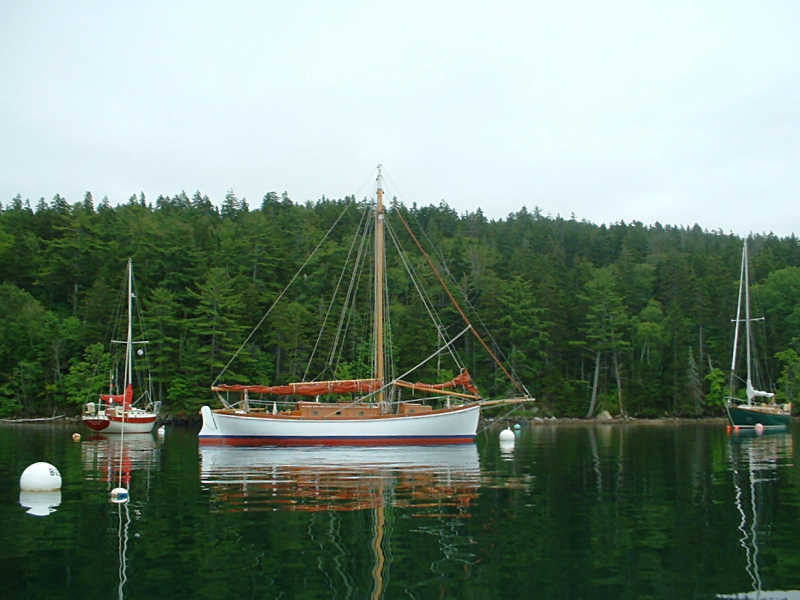 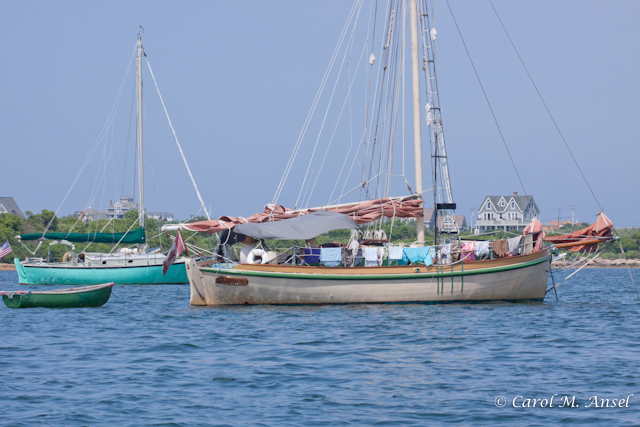 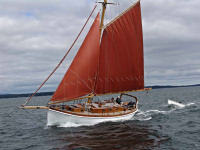 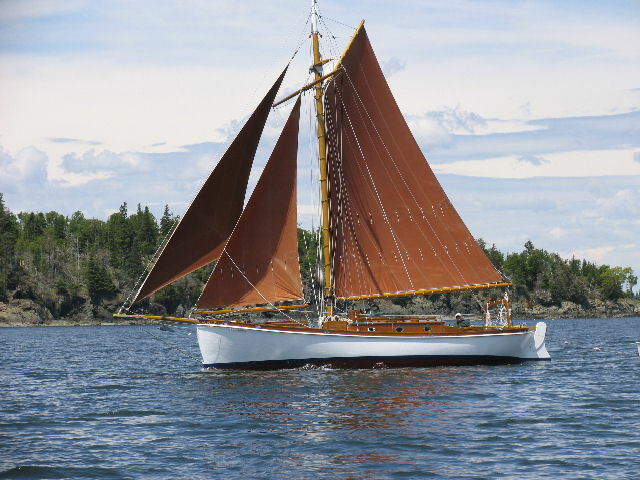 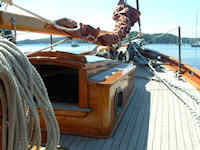 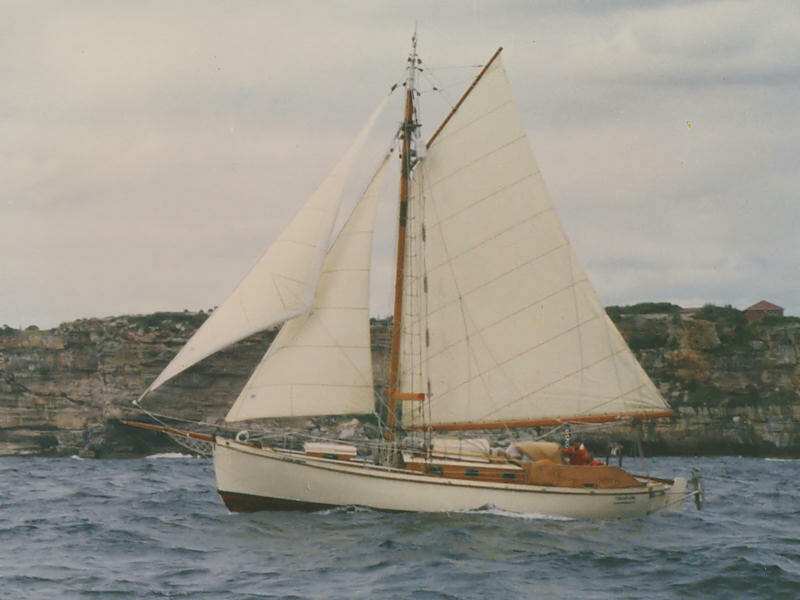 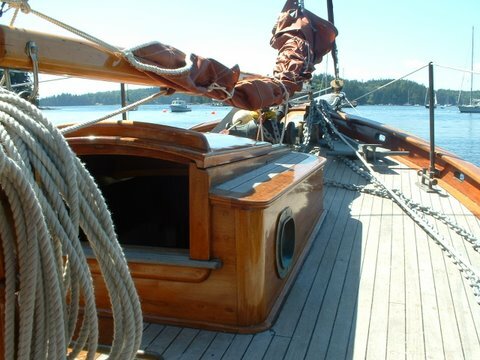 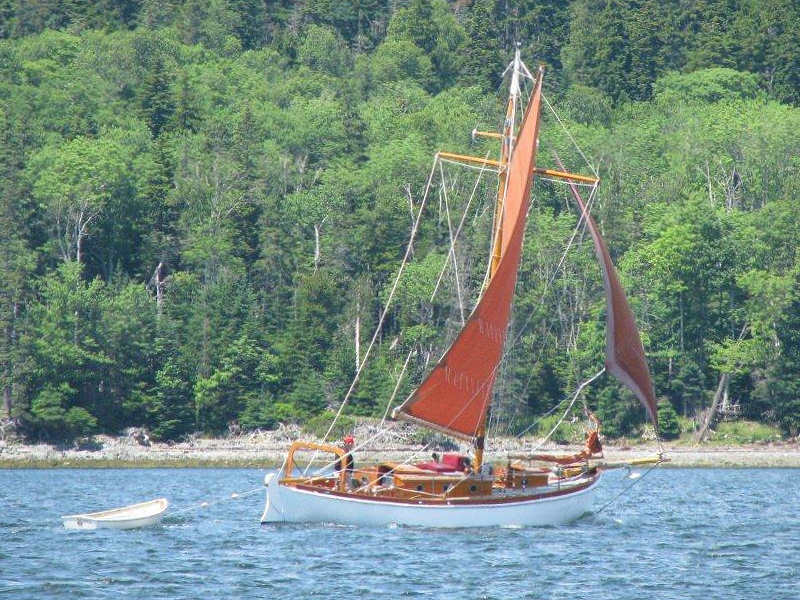 David reports: "Under sail around cape rosier, under jib and main in about 25-30 knots. 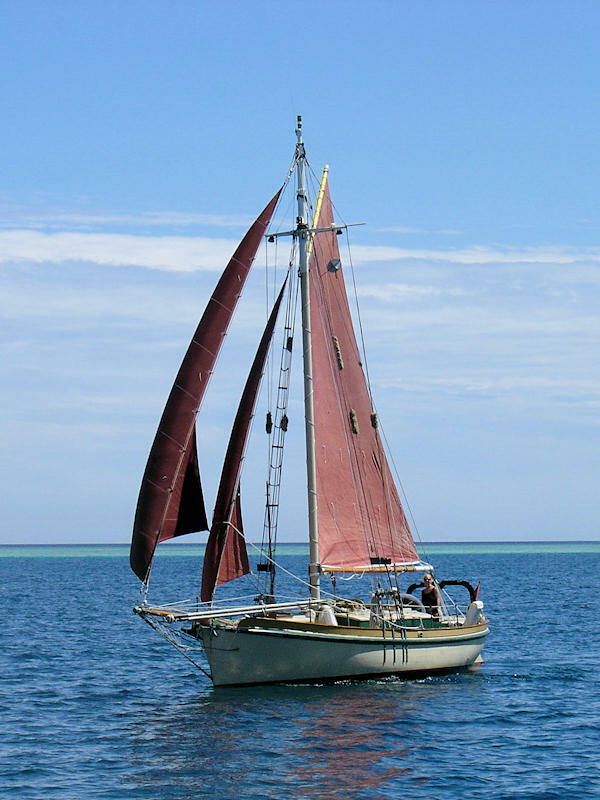 no reefs, we did 8.6 knots according to the gps. "